Got a sweet tooth? You’ll want to check out this slot for obvious reasons! Candy Crush apparently opened the floodgates for a lot of other casino slots online games to try their hand at the sweet-theme. Developer MetaGU are the guys responsible for Candy Spins, a London-based developer who has had a hand in the creation of some of the industries top games! Candy Spins is no exception. 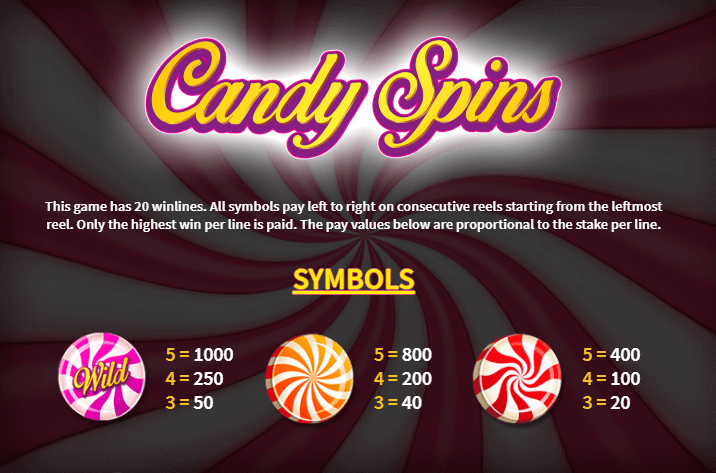 Candy Spins is a 5 reel by 3 row slot, one that features 20 paylines for you to traverse. If you are someone who loves slots that utilise a lot of bright colours, then you’ll find that this one ticks a lot of boxes for a lot of punters out there! Be sure to check out the rest of the review below for more information on Candy Spins! Find head-head-spinning offers and promotions here. Wilds: Wild symbols are the easiest way of coming out with the highest payouts possible. Simply match as few as 3 wilds in one go and watch as most of the symbols on the board are substituted in turn. Wilds are incredibly common so you’ll find them pretty quickly! Free Spins: Free spins are great in that they will give you multipliers that will provide a massive bump to your scores! Free spins are unlocked through the matching of scatter symbols outright! Want to continue to play slot games online? Check out more at Slotsbaby. 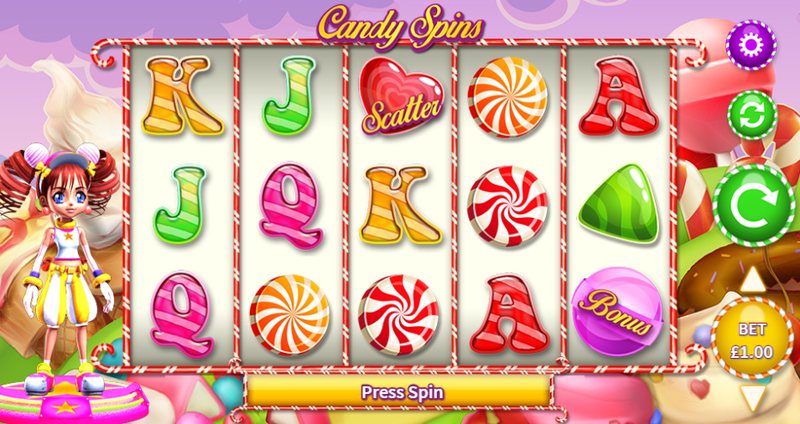 Candy Spins is a very fun slot to play, one that is just as bright as it appears. If you are a fan of slots that are very creative in their approach then you will find that Candy Spins is the right fit for you. MetaGU has done an exceptional job in putting together a snack that we can’t help but want to taste. Be sure to check out Candy Spins as soon as possible, it’s great!